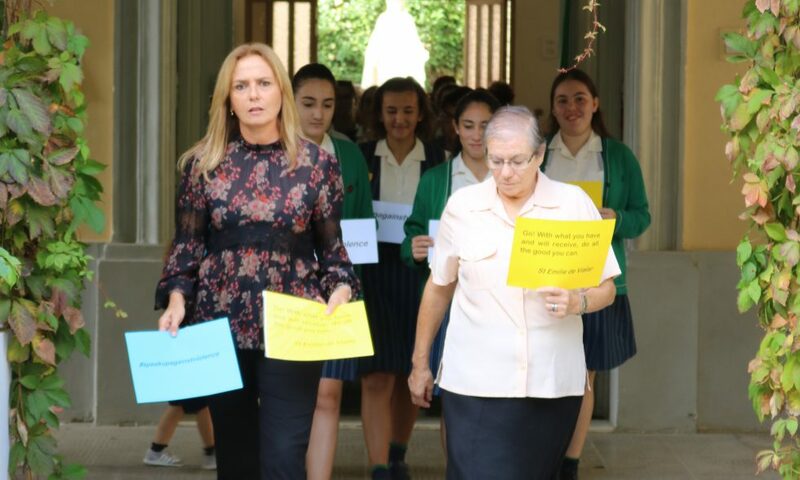 On Friday 20th October 2017 staff and students took a public stand on values and principles they believe in. 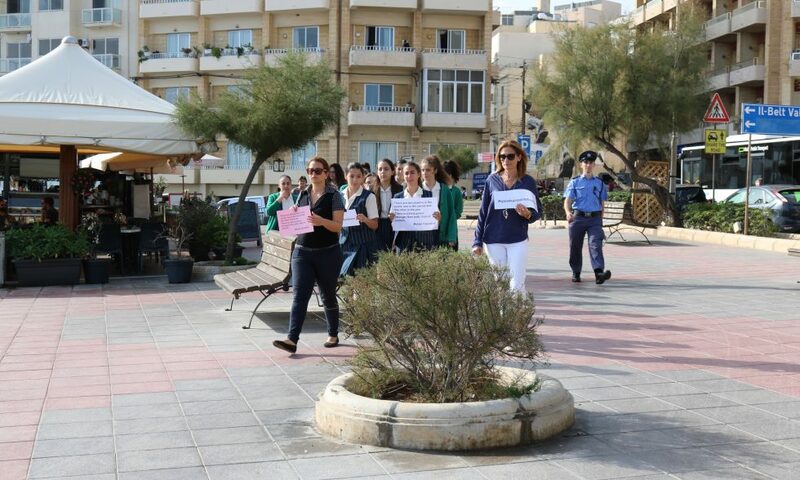 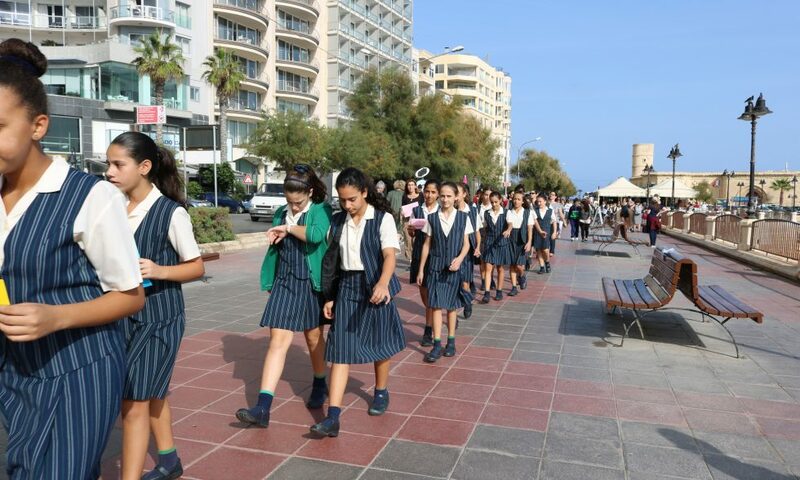 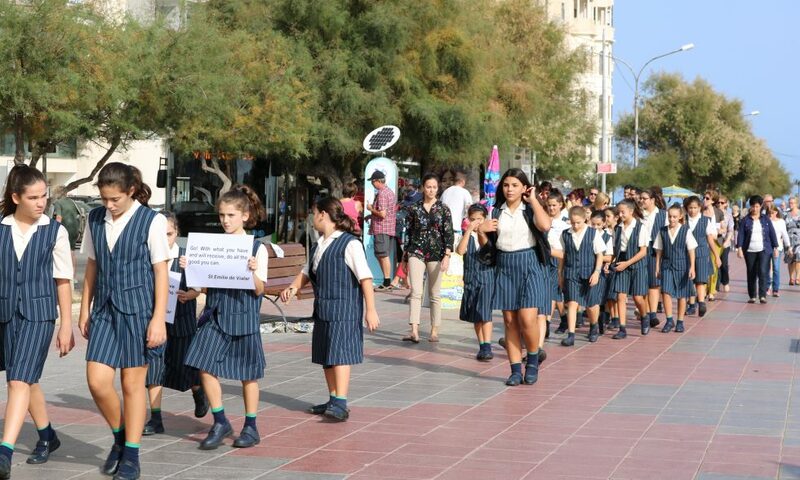 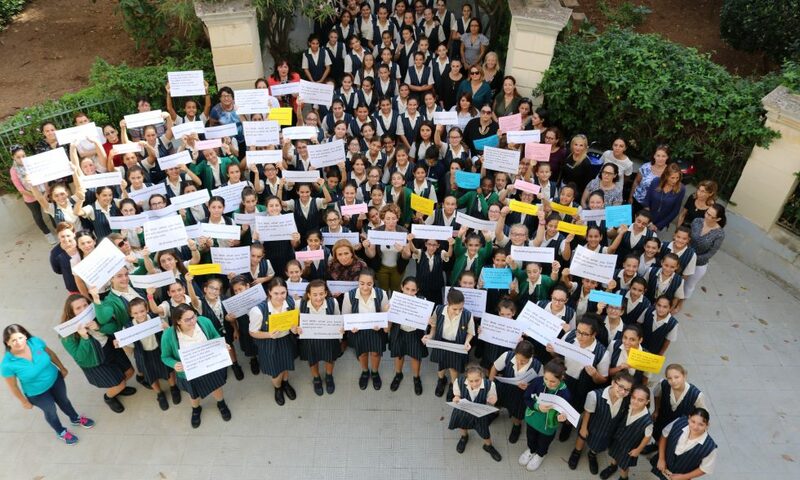 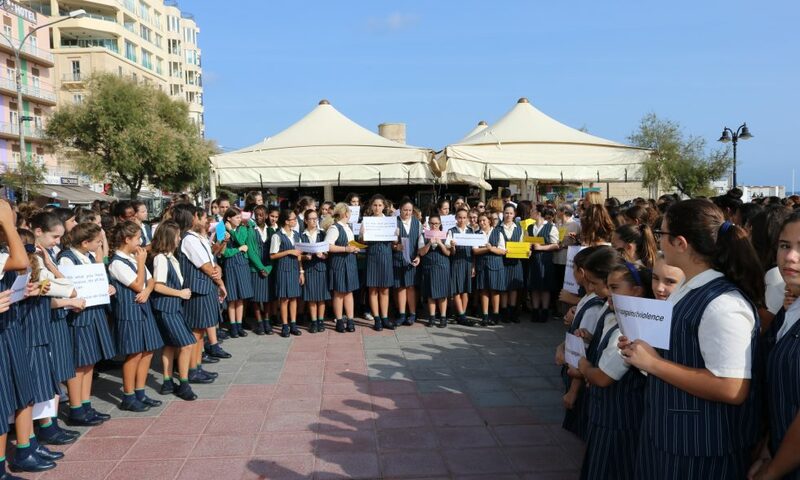 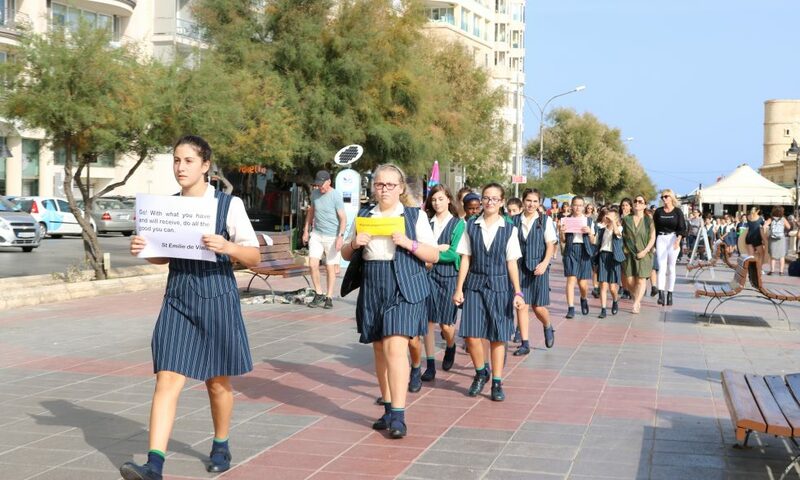 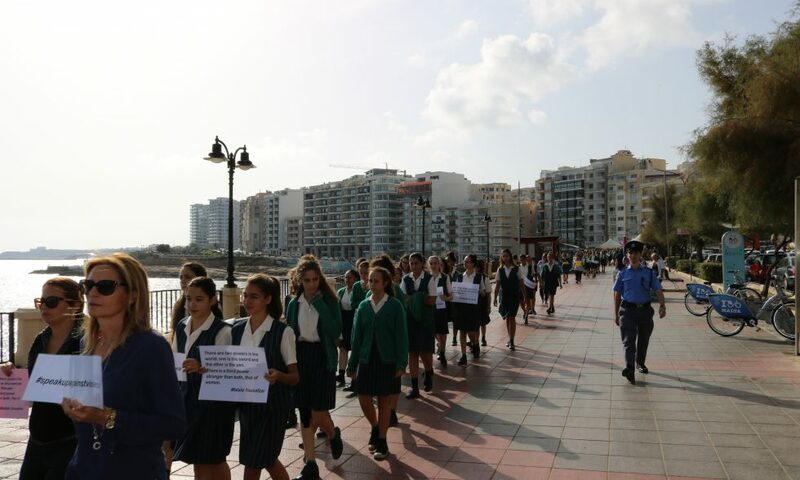 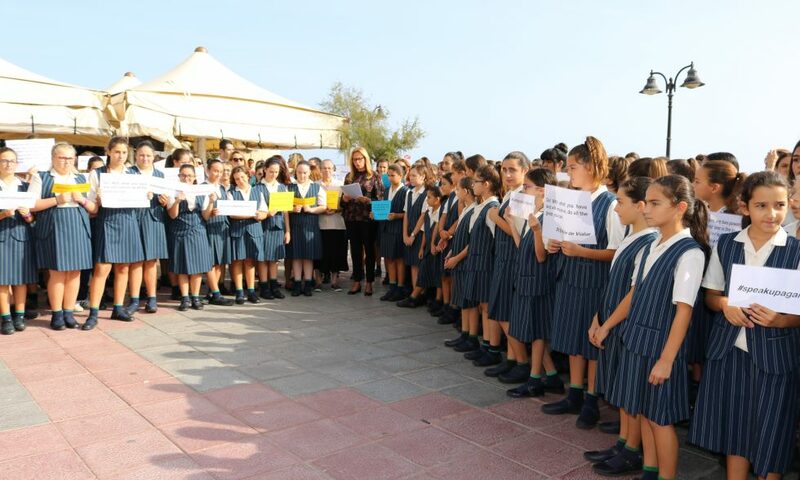 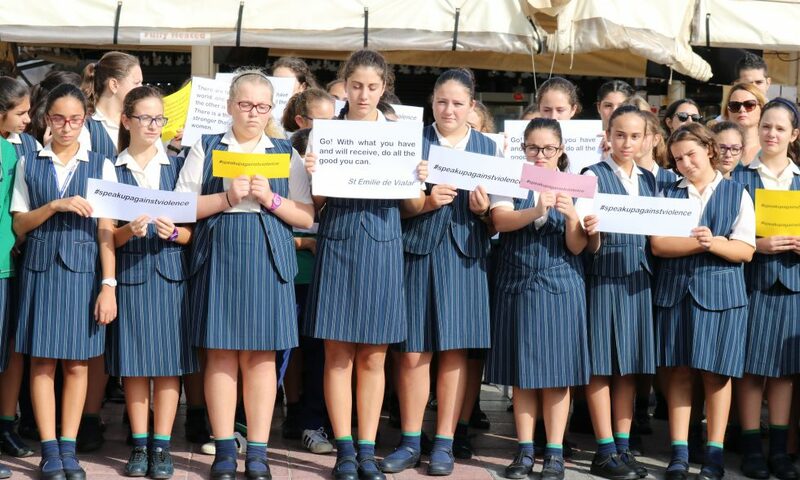 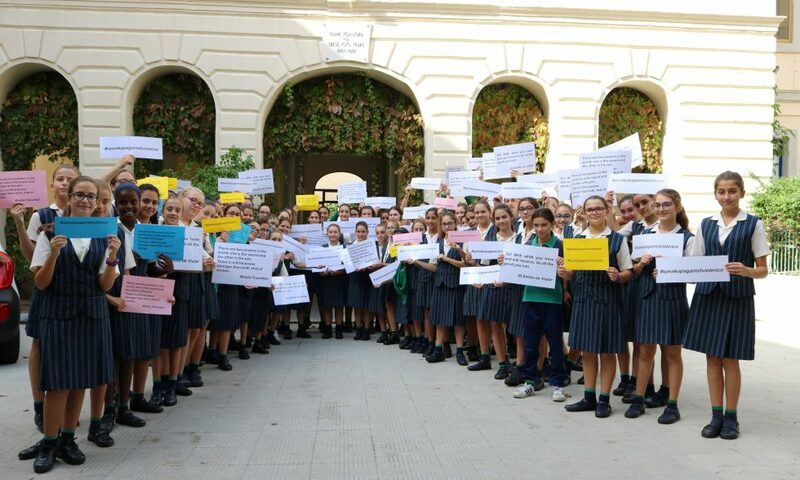 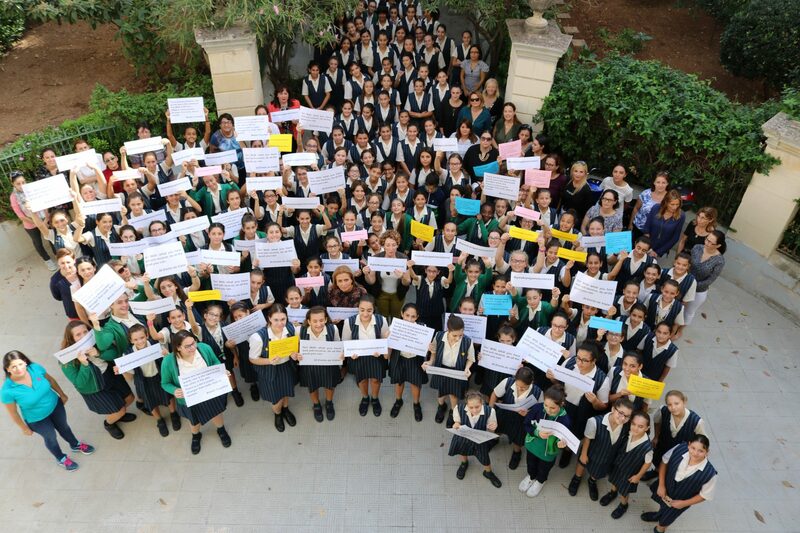 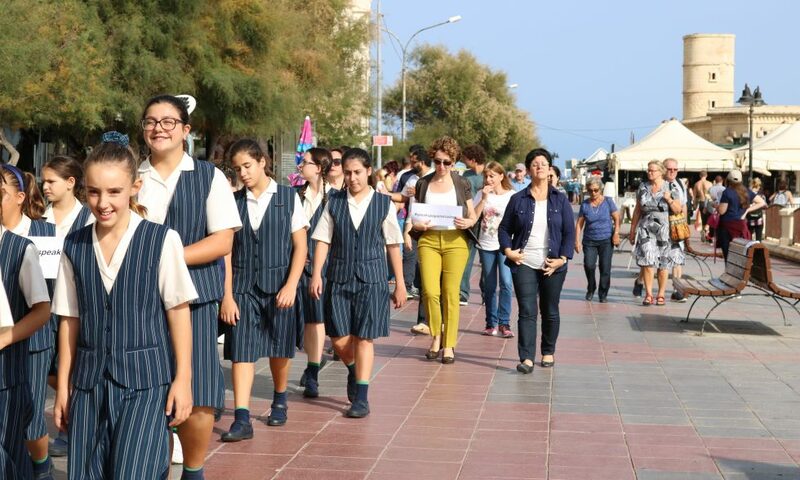 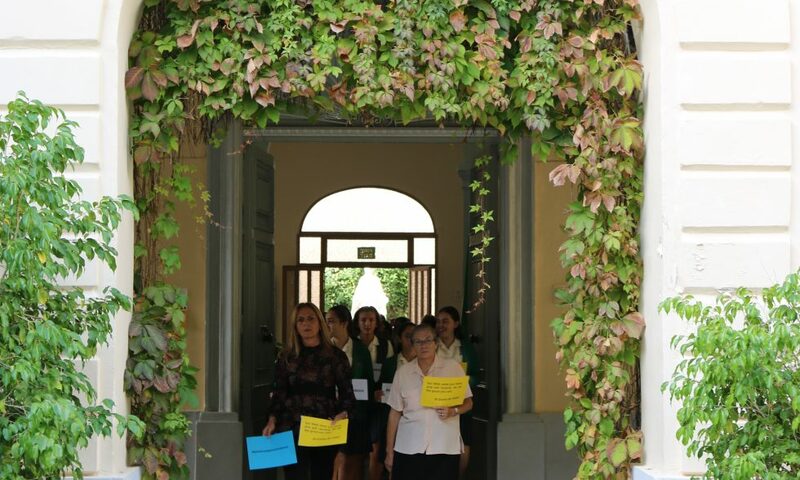 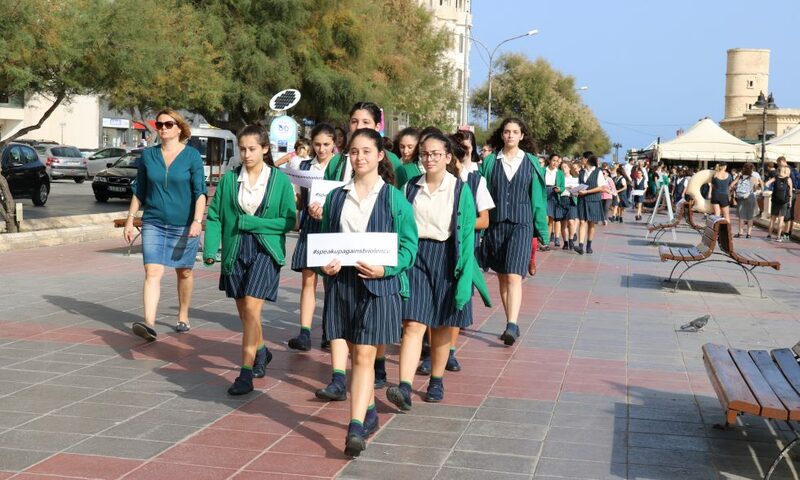 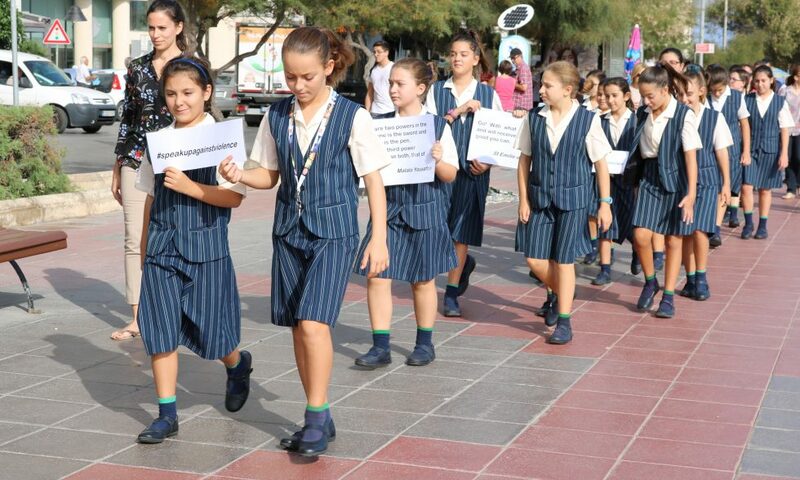 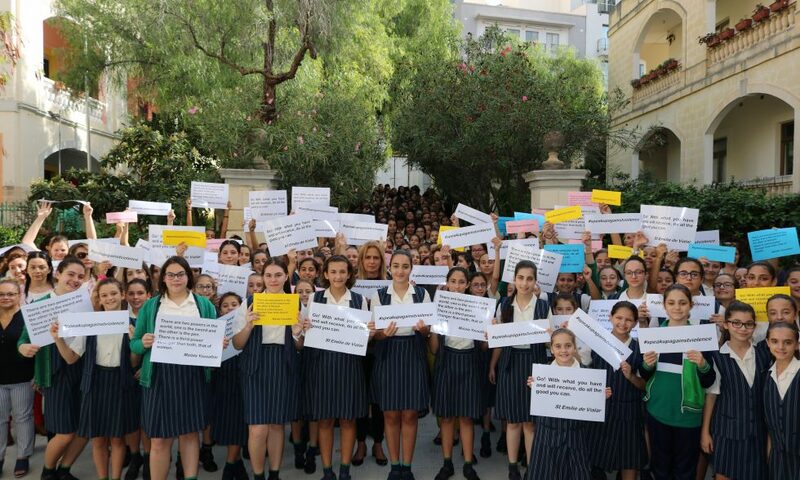 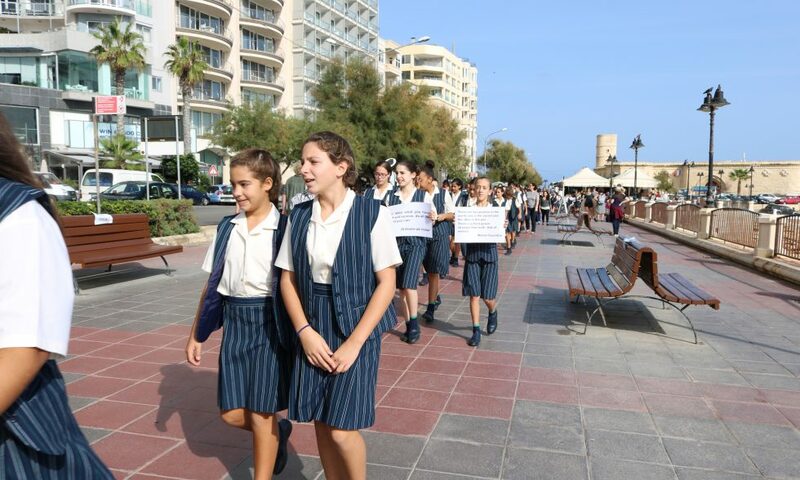 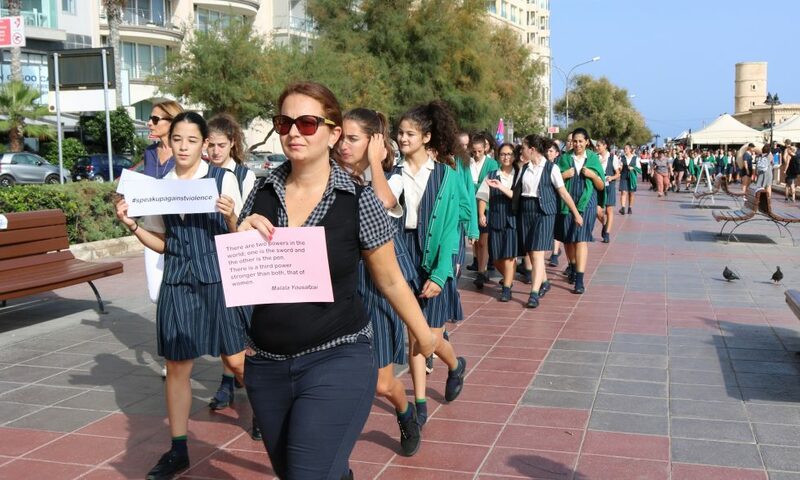 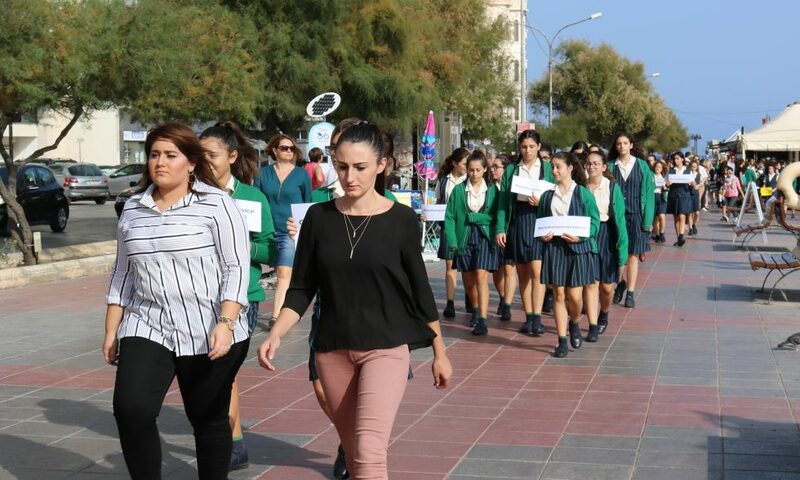 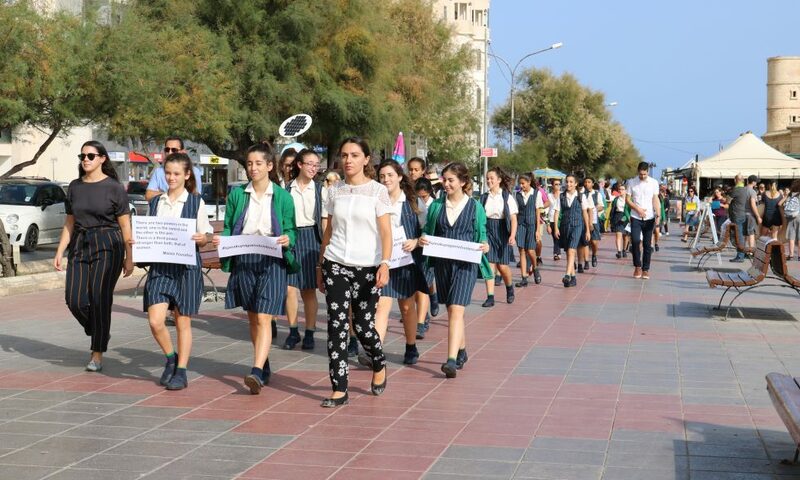 They walked in silence to the Sliema Front, carrying placards inspired by the teachings of St Emilie De Vialar as well as by Nobel Peace Prize Winner Malala Yousafzai. 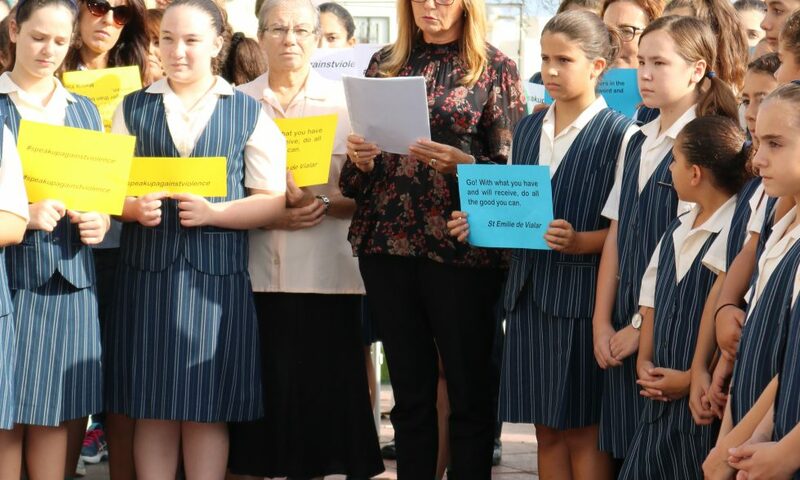 On reaching the Fortizza, the following statement was read out by Mrs Clarissa Fleri Soler, Head of School. 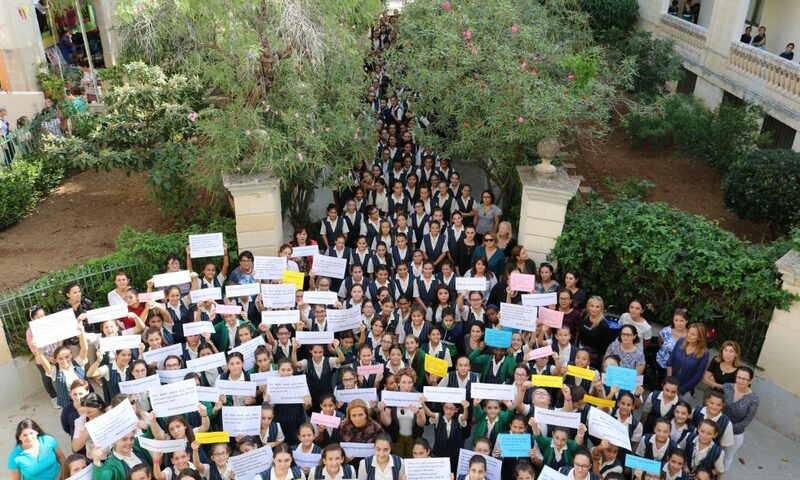 We condemn the assassination of journalist Daphne Caruana Galizia. 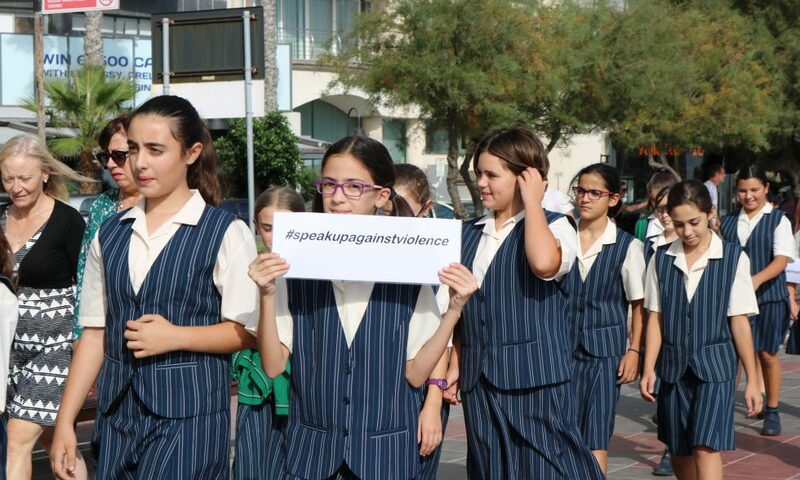 Violence can never be justified. 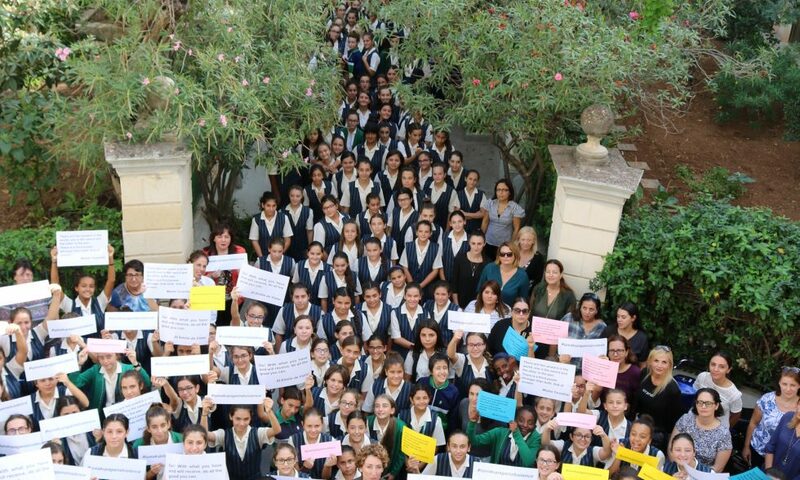 We believe in preparing our students to be active, responsible and educated young women who value community, solidarity, dialogue and working for the common good. 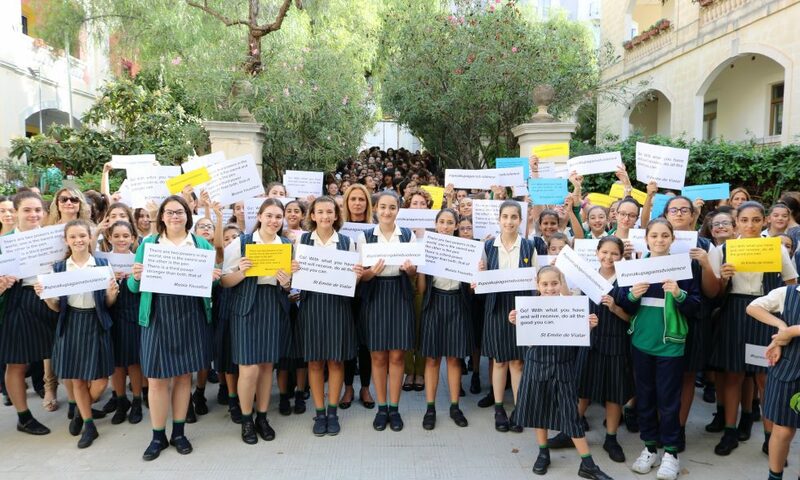 Today we want them to understand that the values of life, love and respect are as fundamental as the right to freedom of expression and respect for the rule of law. 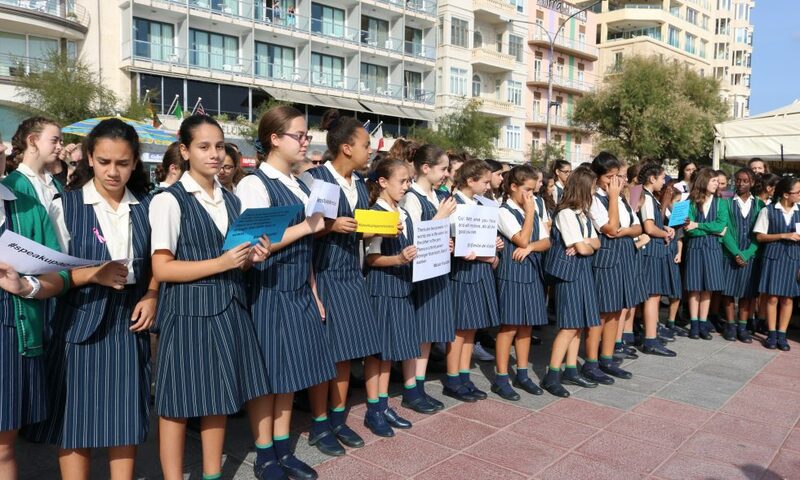 We want them to grow up in a society that safeguards all these and more. 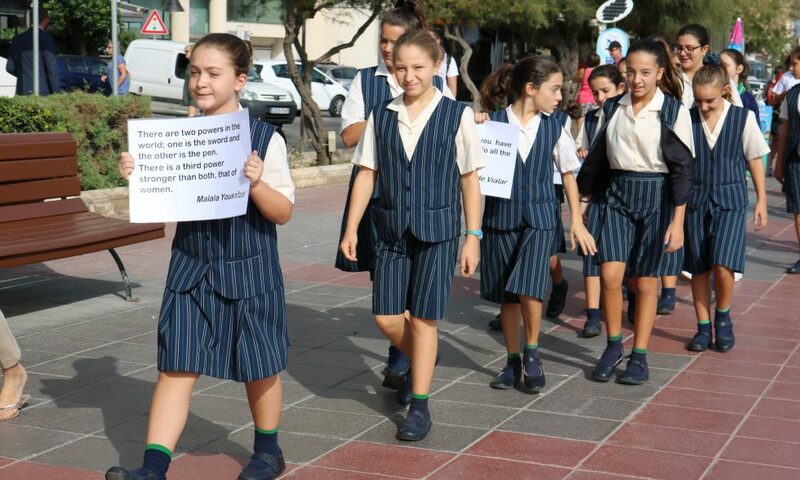 They are privileged to receive an education and their duty is to use it to shape a better world. 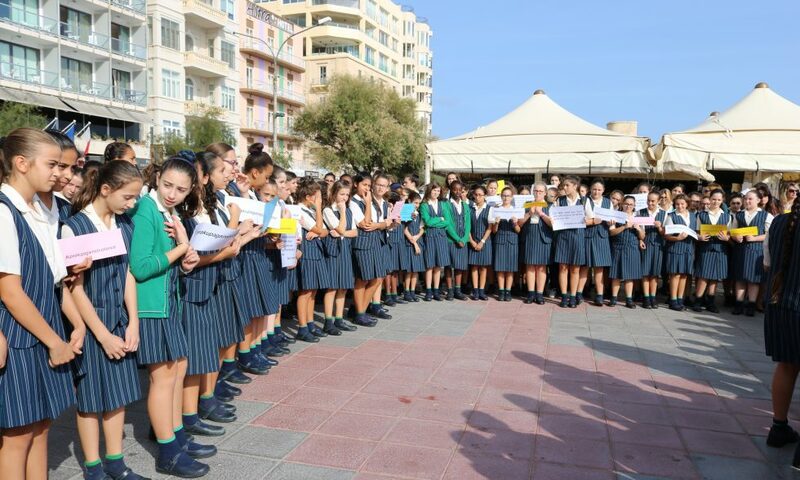 All present then sang the national anthem before returning to school.